Too much self-promotion – making all the posts around self-promotion can be damaging to a personal brand, as the missing relatable links can cause followers to disengage. Instead of just identifying the subject of the image, alternatively include the lesson learned, value-added and something to be thankful for. Tagging people without permission – those posts where random people are tagged for shameless exposure are infuriating to those tagged and offer little value to any audience. Always try to reach out to any tagged, ensuring they have no objections, and limit tagging to three maximum. Create exclusivity to encourage interest. Polished is getting old – Film and shoot content in natural environments to boost relatability and engagement levels. Perfectly positioned uploads are viewed as fake and lack creativity, according to current consumers. Be original (thoughts on re-sharing) – 70% of content should be original. Sharing lacks originality and demonstrates a lack of passion for the brand. Consumers want to feel the personality of their chosen brands, re-sharing lacks character and will force disengagement over time. For times when re-sharing is essential, be sure to include why the content is relevant to the brand and how it helped develop understanding. They can then implement this feedback into personalized campaigns, and this benefits consumers as they have a transparent and trustworthy relationship with their favorite brands. 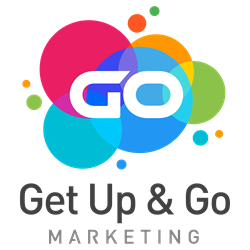 For more information on Get Up and Go Marketing follow @GoMarketing_ or like them on Facebook.